Entrust your skin only to one of the expert specialists at our skin care center in St. Louis, Missouri. Each patient at St. Louis Skin Solutions is medically supervised by Amy Miller, M.D., a board certified physician. By working with our staff of skin care specialists, we are able to evaluate your skin, discuss the goals you look to achieve, and come up with optimal treatment plans and customized skin care regimens to help you achieve amazing results. Meet Dr. Amy Miller, M.D. Dr. Amy Miller, our board-certified physician, is a 1996 graduate of the St. Louis University School of Medicine. 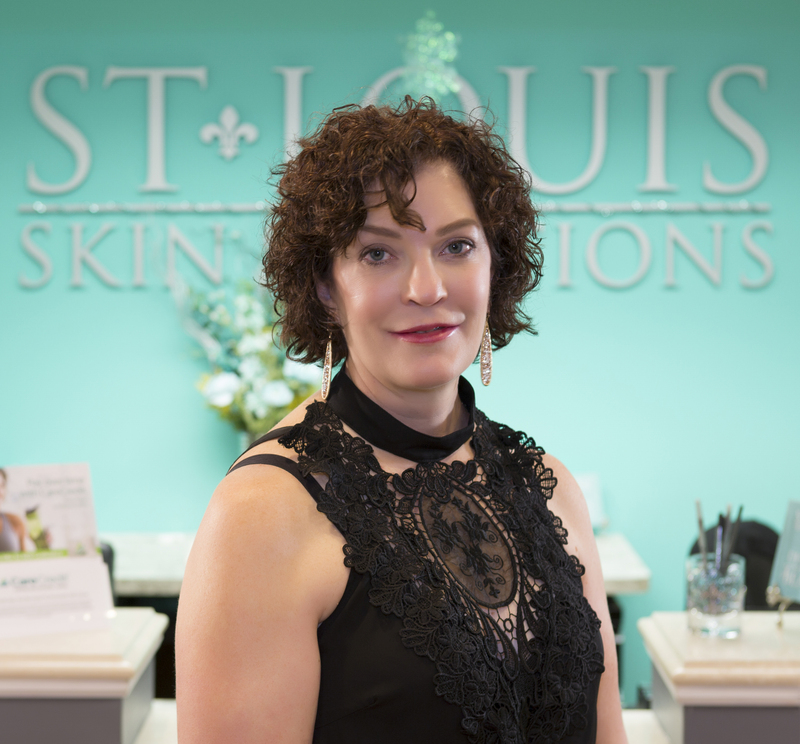 She has been practicing aesthetics, laser surgery, and nontraditional dermatology since January 2004 at her office in Des Peres, MO. She is an adjunct professor of family medicine and teaches interested medical students and residents the art and science of aesthetic medicine. She is also a national trainer for advanced injection techniques and teaches physicians from around the country how to use medical lasers in their aesthetic practice. A former Miss Seattle and Mrs. Missouri International, Dr. Miller helps people from all over the world discover their own beauty. Dr. Miller and her staff offer a wide variety of aesthetic procedures to enhance and highlight your own natural beauty. It is her goal to help you feel comfortable in your own skin, look your very best, and empower you to have the confidence to succeed in a competitive world. She assists women and men from all over the world in discovering the potential that aesthetic medicine has to offer and knows, from experience, that the resulting improvements on the outside have a positive effect on a person’s inner voice and perception of themselves. She helps remove negative perceptions that people feel about themselves when looking in the mirror and empowers them to be confident in themselves and their abilities. This has led her to be named Top Aesthetic Medicine Specialist in the United States in the winter of 2013. This award recognizes her expertise in helping their 61,412 members. She also won the Best Facial Injectable Filler at the Annual Aesthetic Awards in May of 2013. Dr. Miller has taught both nationally and internationally. In September of 2017, she was invited to attend the EuroMediCom conference in Monaco where she entered to win Best Non-Surgical Facial Rejuvenation. In 2017, Dr. Miller traveled to London to speak at an international conference and she was invited to Monaco as she was “short listed” as a finalist for an aesthetic award for the Best Non-Surgical Facial Rejuvenation. She has been published in the Nursing Aesthetic journal as well. Dr. Miller is married and the mother of three boys. Lora began her aesthetic career as a makeup artist for Estée Lauder and Shisedo. She took her passion to the next level by attending the University of Spa & Cosmetology Arts in Springfield, Il, graduating in 2006. Lora’s education continued with post-graduate classes at the Dermal Institute in Chicago, IL. Lora joined us at St. Louis Skin Solutions in 2010. She is a member of the American Society of LASERs in Medicine & Surgery and is certified to operate Lumenis, Eleme, Iridex, Lutronics, Cutera, and Lasering USA LASERs. She also has her HIPPA and OSHA regulation certifications. Lora has attended national meetings and education seminars in Chicago, St. Louis, and Phoenix. A personal goal of hers is to exceed all patient expectations with her high level of service and care given during each and every visit. 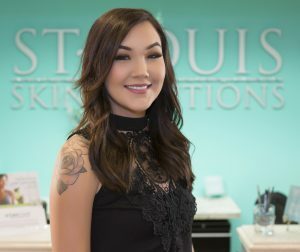 Natalie joined St. Louis Skin Solutions in May of 2018. Natalie is a graduate of the Skin Institute in St. Louis. We are excited to have Natalie as our Laser Hair Reduction specialist. Natalie also performs Microneedling, Dermaplaning, Dermalinfusion, Facials and Chemical peels. Janet is one of Dr. Miller's assistants. She is an all around team player and she brings life to the the office. 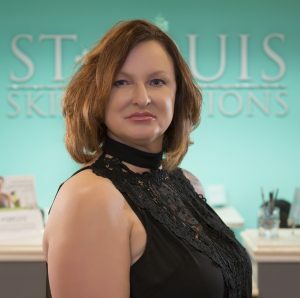 Gwen joined the St. Louis Skin Solutions team in January of 2018. She has been a great addition! She is currently attending school to obtain her Medical Assistant certification. Jessi is a fantastic addition to our Guest Relations team. 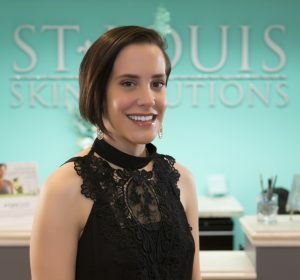 She joined St. Louis Skin Solutions in May of 2018. Her experience in the banking industry has been a huge asset to the team. Jessi is also part of the marketing team; her energy and fresh ideas are a great assett. Contact us to learn more about our skin care center based in St. Louis, Missouri. Copyright © 2019 St. Louis Skin Solutions. All rights reserved.